Kicking off a new year means shedding old habits, making resolutions, and trying new things. The newest item on the docket for C&L this month? A gender-bending concert flipping your favorites on their heads. 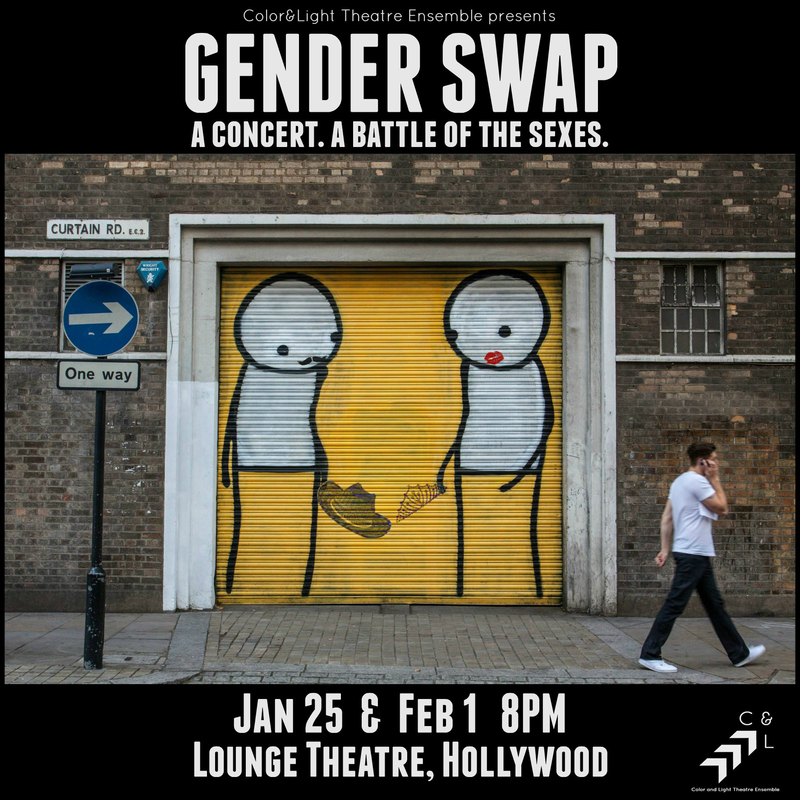 Gender Swap is a dialed-up musical exploration of traditional archetypes seen in Broadway shows. The show kicks prescribed gender roles in the gut as it breaks down and breaks through the limiting boundaries of “female” and “male” songs. Celebrate the new year with Color & Light Theatre Ensemble as we host this one-of-a-kind battle of the sexes.